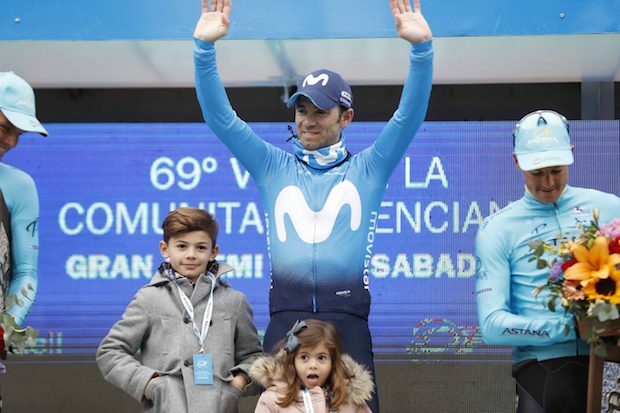 Alejandro Valverde (Movistar) finished safely in the bunch on the final stage of the Volta a la Comunitat Valenciana to take the overall victory. Despite the wet weather, it was a fast start to the final day of racing in Spain with a strong six-rider group jumping off the front of the peloton early and opening up an advantage over the opening 10km, of the 135.2km course. However, behind the breakaway, the main bunch was keen to keep control of proceedings, and consequently, after peaking at 1’23” after 32km of racing, the gap to the leaders was pulled back to around the one-minute mark. 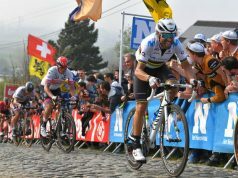 Heading into the second half of the stage, and with a potential bunch sprint up for grabs, the peloton picked up the pace and the gap to Küng and the rest of the breakaway began to fall before, with 40km to go, just 30 seconds separated the two groups. On the descent of the day’s only categorized climb, Stefan Küng (BMC) attacked to begin an impressive solo effort at the front of the race, which saw him head into the final 20km still holding onto an advantage of around 20 seconds. 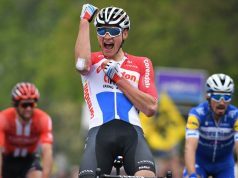 With four sharp turns to navigate before the final run into the line, it was a battle for position in the bunch but Roelandts was in a perfect position when the finish line came into view. 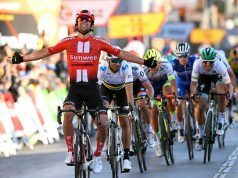 As the sprint was launched, Roelandts’ impressive turn of speed saw him power towards the line before punching the air with delight after sealing victory in Valencia. 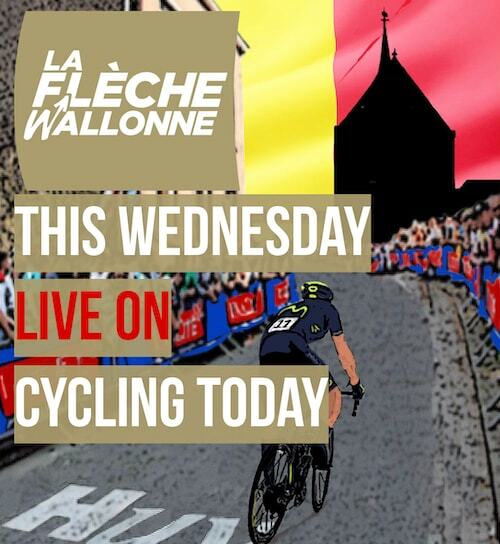 Race leader Valverde finished safely in the peloton to secure the overall victory in his first stage race since his crash in the 2017 Tour de France. 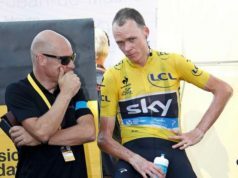 The top three remained unchanged on the last day with Astana riders Luis Leon Sanchez and Jakob Fuglsang completing the podium. “This victory is a reward to the great, hard work we did during the last few months with my recovery”, said Valverde. “That’s why I’m so happy, because I know where I come from and everything I had to go through in order to bounce back from such a serious crash and injuries I sustained. It’s quite different, this feeling, from the one when I won the race for the first time, 14 years ago. This time I’m coming back from a very serious injury, a seven-month period without any racing, and it’s really comforting to see I’m doing as well as I did or even better. I had many things to show yet in 2004. Now I’ve done everything I could in cycling, even though I keep the same love and excitement towards this sport.